It may take time your dog’s paw injury to get better, but at least your pet can be comfortable for the duration of the recovery with the use of Jimin Ointment. Jimin Ointment provides comfort to pets with mobility issues and is for external use only. 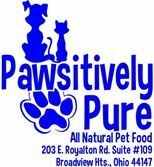 You should apply 1 tablespoon to your pet twice a day, for 4 to 8 weeks depending on your pet’s condition. It is recommended to clip your pet’s hair for better penetration to the wound. Discontinue the use of Jimin Ointment if your pet experiences contact dermatitis, eye and mucous membrane irritation, or photosensitivity. Be sure to consult your veterinarian before using Jimin Ointment. Do not use Jimin Ointment on puppies or kittens and do not use on lactating or pregnant pets. 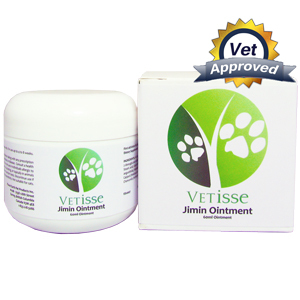 The use of Jimin Ointment is not limited to paw injuries, you may use it to soothe and relieve almost any skin condition. When using Jimin Ointment, avoid using the salve on open wounds as internal exposure to Arnica Montana can cause adverse effects. This product may cause increase in liver functioning tests. Except for homeopathic solutions, Arnica Montana should never be consumed internally.